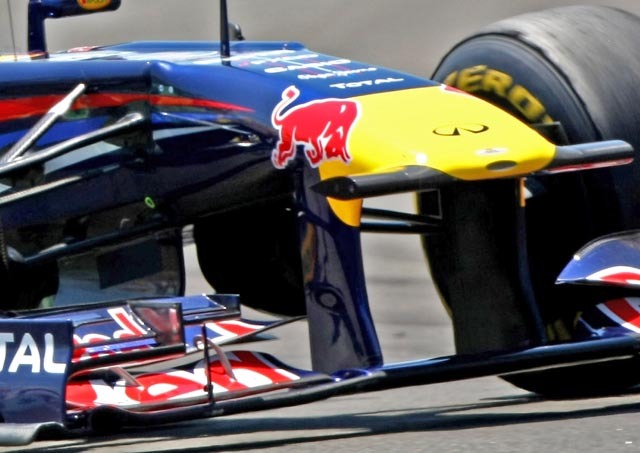 Four-part series on the evolution of the front wing from 2009-2013. Before I begin the third part of this series, for those of you who are new to this site, I would advise visiting parts 1 (https://thewptformula.wordpress.com/2013/02/27/the-evolution-of-the-modern-front-wing-part-1/) and 2 (https://thewptformula.wordpress.com/2013/04/02/the-evolution-of-the-modern-front-wing-part-2/) as identifying common themes and characteristics will be a lot easier! Year three of the current regulations saw the progression of ideas that were introduced in 2010, as teams finally got to full grips with which concepts were working best for the current aerodynamic rules and also how these airflows interact with the tyres. The tyres are a big factor in car dynamics – Pirelli even supply wind tunnel tyres, that are much smaller, that are designed to replicate the tyre used on the full car during the season. This is because the structure of the tyre allows for deformation under loading. This can happen during a corner as well as over bumps and kerbs. This deformation angles the car slightly differently (pitch, forward-to-back movement; or yaw, side-to-side movement; warp, a combination of the two) during acceleration, braking and cornering, which affects the path that the air takes travelling along the car as well as the mechanical grip available to the driver in each of these phases. The front wing is therefore a crucial component when controlling the outcome of how the car behaves during these phases as it manages the flow from the very front to the very back of the car. This is why we sometimes see cars that perform better in the wet, as the treadblocks of the intermediate and extreme wet tyre raise the car by more than a centimetre, changing the characteristics of the car’s aerodynamics as a result. The height of the nose continued to gain altitude during the season as emphasis on forcing incoming air underneath the front of the floor became apparent for most of the teams. This effect forces the diffuser, probably the highest downforce producing device on the car, to work harder and therefore extract a higher volume of flow, pushing the car downwards and only increasing its effects as a result. The cascades and endplates also saw an attention to detail as the designers fettled with controlling tyre wake (turbulence caused by the rotation of the tyre and oncoming airflow at speed) and extracting further downforce from other components downstream of the front wing. Lotus were a particular team that trialled many endplate configurations at different circuits to optimise this area. It is at this point, the beginning of 2011, in the current regulations where McLaren chose to stick with a more traditional front wing design – a main plane (silver in the above image) and two flaps (both red) are the primary downforce producing components. Other teams chose to go down a more adventurous route that I will explain later on in this post. These leaves a total of three elements, all of them with a large surface area. The reason behind this concept is to induce as much front downforce as possible, as each element is very large. Reducing the amount of elements reduces the volume of laminar (consistent, straight) flow however, making management of the airflow a harder job. To achieve good management around the front of the car, McLaren introduced the ‘r’ shaped cascade winglets that lie inboard of the main cascade winglet. They are mounted to the wing by the base of the ‘r’ and also by a vertical strut to reduce the amount of flex at the tip. Its role is divided into two parts: the vertical part of the cascade is used to separate and guide flow over its desired part of the wing, directing flow specifically to one area and therefore around a different region of the front tyre or front suspension. The horizontal section is designed to produce a vortex at its tip, taking airflow to a desired area, consistently, at almost all speeds that the car is moving at. The ‘r’ cascade is split into two elements, which aids the vortex generation at the tip. The second element (furthest back) also has a slight lip that helps to splay the flow outwards. McLaren spent time developing their endplates, often changing the number of slots that allow high pressure flow on the outside back inside to the channels in the wing, energizing and controlling the flow coming off of the wing and around the outside of the front tyre. These changes do help the main elements of the wing produce downforce, but they are primarily for flow management purposes. Red Bull pioneered a concept that involves a gradual progression of the gradient of the wing across numerous elements, starting with just three elements in 2009. This soon became four, and the image above shows their 2011 front wing, consisting also of four tiers. This philosophy also involves the attachment of each of the elements to the footplate (the base of the endplate) creating a slotted profile across the entire wing. This is evident in the image above. The gap in the endplate reveals where the each element swoops vertically downwards dramatically right at the outboard edge of the wing, meeting the curved carbon base below. McLaren do not follow this trend, as their elements attach directly to the endplate horizontally. The advantage of this method is that the greater the amount of slots, the more consistent flow travels between the elements, resulting in a cleaner, more laminar final resultant airflow coming off of the front wing and around the front tyre. This is more manageable airflow than that trailing off of the McLaren front wing and can therefore be directed more effectively downstream. The drawback of this technique is that it actually produces slightly less downforce than a wing that has less elements and a higher surface area. However, in Red Bull’s case, clearly they have enough downforce at the front of the car to be able to extract the best from this concept! This therefore means they can further concentrate optimizing the rear of the car, creating a perfect balance for their drivers. Williams were one of the first teams to latch on to this idea. They had an arguably one of the most sophisticated designs on the grid during 2011 pre-season testing. They were also another team, along with Lotus, exploring the possibilities of the inner flap section as seen above. The inboard edge of the two flaps have differing profiles, the older one being slightly crinkled, the newer with a sharper, straighter edge. This straight edge inboard flap area continued to develop throughout the season and has since carried into 2012 and 2013. The idea behind this straighter edge is similar to the idea behind the McLaren ‘r’ cascades. At the very tip of the top flap edge, a small space is exposed beneath it. Accompanied with the sharp profile, air coming over this section will divide quickly above and below the top flap. When it meets the other side, much higher pressure above the flap meets the faster lower pressure beneath it, creating a vortex. This is, like the McLaren solution, a great way of directed flow to desired components downstream of the car. Likewise with the main concept of the front wing design, there also seemed to be an alternative route for endplates. Noticeably, Red Bull have a very simplistic one-piece endplate that simply meets the surface area requirements in that region as they rely mainly on the very outer tips of the wing elements to manage airflow around the front tyre. However, examples such as the Lotus endplate above are much more complex as they feature a multitude of guide vanes and flick-ups to turn the airflow outwards and around the tyre. These designs also integrate the main cascade winglets much more than the simplistic ‘Bull concept, the image above showing a beam attaching from the (black) winglet to one of the (red) guide vanes. Ferrari derived a solution combining the pair of these two ideas. Their wing featured a single wall endplate that ran right across the length of the wing but also included a guide vane sat in front of it. This vane is allowing air to take an alternative pathway and leads to a different component downstream of the car than the path that the single wall endplate flow takes as the two are angled slightly differently. Note how the guide vane has a much more aggressive angle at its base than it does at all other points along the trailing edge. This suggests that the air is flicked around the tyre at a greater angle at the lower part of the vane and could possibly be diverging its path to beneath the floor. This is in contrast to the less angled part above, with this airflow possibly interacting with flow coming around the sidepods further back. You can also see in the above image the large turning vanes beneath the front wing nosecone. These manage air coming in directly beneath the nose tip and dissipate it much more evenly to a designated area of the car. This process allows other components to work more efficiently due to the more laminar flow acting upon them. Large volumes of turbulent flow will not allow other aerodynamic parts to work well as they can stall them. This then produces drag and lift, slowing the car down. We can also see this here on the underside of the Williams FW33 (image by Giorgio Piola). They are attached right at the back of the nose cone, with the extensions reaching back beneath the chassis. The birth of these turning vanes occurred during the back-end of 2010 and started featuring on many of the cars during 2011. This turned out to be another big avenue of investment for teams as the area beneath the nose is free of a lot of restrictions. It is during the 2012 season that most of the development in this region occurs, which will be a main feature in part four of this series. All aerodynamic devices have an element of flexibility when loading takes place. If they did not flex then the structure would break. By regulation, however, teams must not breach a certain limit of flexibility on most aerodynamic components as this is deemed illegal. This is because a lot of flexibility of some devices, such as winglets and wing elements, can change the characteristics of the car dramatically between high-speed and low-speed (where little loading occurs). In 2006, Ferrari’s rear wing had two elements like today’s generation: a main plane and an upper flap. Under extreme loading at high-speed, the gap between the two elements closed up, creating one single profile as a result. A single element rear wing would stall at its underside as the flow would detach itself as the angle of the wing increases towards the trailing edge. Adding a second element allows a greater angle of attack on the wing without stalling the air beneath it, creating more downforce as a result. When the elements close together on the Ferrari rear wing, the wing stalled and reduced drag and in turn allowed the car to reach a higher top speed. When they FIA realised this was occurring, they saw it as an unfair advantage and made it compulsory for the rear wing to not exceed a certain amount of flexing during high loading. Do we all remember Hungary 2011? That is where things really kicked off regarding Red Bull’s ridiculously flexible front wing. The front wings also under-go load testing, with large weights attached to the endplate of both sides of the wing. They must not exceed 10mm of flexing (2013 regulations) under 1000N of loading. In the image above we can clearly see that the RB7 front wing is almost touching the ground as it approaches high velocity. The sub-image on the right shows the car stationary in the pitlane. This flexing induces a small amount of “ground-effect”, when a low pressure zone is created between the ground and the bottom of the aerodynamic device (in this case, the front wing endplate). This low pressure is what produces extra downforce as elements of the car are closer to the ground. If you want to read more about ground effect for cars, follow the link here – http://en.wikipedia.org/wiki/Ground_effect_(cars). While Red Bull were pushing the entire endplate section downwards, McLaren came up with an innovative concept using their front wing mounts. In the image above, there are clear gaps between the lower part of the front wing pillars and where the pillars are attached to the wing mounts. This occurs also under extensive loading and rotates the entire wing backwards, forcing only the very back of the endplate to reach near-ground level. This is much easier to design as the Red Bull solution involves a complex arrangement of carbon composites to achieve the whole profile to flex downwards. McLaren’s solution, I am told, also helps to reduce drag when the endplates reach a certain angle, as beyond a certain point the low pressure area stalls. Sorry for not being able to put this up yesterday, technical issues! I am probably incorrect about some of the theory as I have forgotten a bit of it (it WAS two years ago…). Thanks for reading and I would definitely appreciate any feedback. This entry was posted in Analysis, The Evolution of the Modern Front Wing on June 18, 2013 by thewptformula. In part two of this series, we investigate the development of the modern front wing across the 2010 season, one year after the new set of regulations were introduced. We left the last part (see here – https://thewptformula.wordpress.com/2013/02/27/the-evolution-of-the-modern-front-wing-part-1/) looking at the end part of the 2009 season. Following on from the first year of the current regulations, many teams chose to revolve the car rather than carry over from last year in a bid to find the ultimate formula. This resulted in a change in front wing philosophy to interact with the rest of the changes along the entire car. It is important to remind us of how influential the front wing is: it produces almost all of the front end grip and contributes to a large portion (a bit under half) of the car’s overall downforce. It also has to manage all of the flow over the rest of the car for all of the other components to work to their desired effect. Designing the front wing is an extremely difficult task and that is why I have decided to follow the progression of its design over the past 4 years in this four part series. 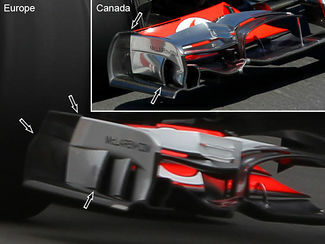 Already noticeable on the McLaren MP4-25 launch car compared to its predecessor (MP4-24) is the nose height. Increasing the height of the nose tends to reap rewards as more air is allowed beneath the nose/chassis area and flows down towards the floor and works the splitter harder. Also present underneath the 2010 McLaren was the splitter that guided flow either side of the chassis between the lower wishbones. This effectively made the nose height lower, as the leading edge of the splitter was much lower than the actual height of the nose itself. This is in contrast to the Renault and Ferrari solutions who stuck with a much lower nose height across the entirety of the season. However it was not until 2011 that most teams benefited from running a higher nose as the teams’ 2010 cars were optimised around running a lower nose height from the birth of their design. Endplates were another area that teams developed heavily upon during the season as management of airflow around the front tyre and introducing this flow to other components downstream became a top priority once they had maximised the main plane and flap philosophies on their respective cars. Renault were the team that were pushing the development mark on the front wing throughout 2010. Above are two images showing a comparison between the launch version of the R30 and the Spain version of the R29’s wing. Pretty similar? As far as I can tell they are identical. But launch cars are often a fruitless exploration when it comes to identifying key features for the coming season as lots of things are changed over testing and before the first race of the season. This is evident by the fact that the image above is totally different concept to that shown on the launch car – this was only a few days later at the first test! Their first iteration of design for the coming season was based on of what McLaren were utilising towards the tail end of 2009: a three-element design with a single cascade winglet branching across the top, the trailing edge of this winglet producing a vortice to control flow beyond the front tyre. The Enstone outfit then trialled this design. There were no cascade structures, but the concept concentrated more on the shape of the main plane and flap shapes as well as developing further upon managing flow around the front tyre. This is shown by the array of turning vanes that lie on the endplate. They continued to build upon this platform by re-introducing the cascade winglet, but it now spanned over the endplate, too. Again, this is to try to aid flow around the front tyre efficiently. Also evident in this image are the first signs of a common trend that are evident on today’s front wings – the main plane bending downwards to meet the footplate in one smooth, intricate profile. By the end of the season, the R30 featured this complex arrangement. The fundamentals of the design had remained unchanged, but the cascades and endplates had been developed thoroughly. No more than three turning vanes made up the endplate design, all controlling flow around the front tyre and guiding it towards parts downstream to boost downforce and efficiency. The inboard part of the cascade has been deepened here, creating more downforce rather than just flow management. You can just about see the turning vane beneath the nose that also manages flow around the critical area on the underside of the chassis (left of the image). Endplates were constantly changing as tweaks were made across the car. Don’t forget that they were only in the second season of the current regulations so changes were being made across the board at a rapid rate in a bid for performance. McLaren were certainly a prime example of tweaking this area. Their first design featured a small vane atop of a two-holed endplate that was similar to last season’s car. The vanes allowed the cascade winglet to be expanded over the top of the endplate to manage flow around the tyre. They then moved onto this platform, withdrawing the vane, placing a guide vane horizontally on top of the endplate and rounding off the trailing edge. The rounding will allow the flow to be splayed out around the tyre at different angles rather than all of the volume of air reaching roughly the same destination aft of the tyre. This was followed by further iterations in both China and Spain, with the Woking outfit even opting back to a more squared off trailing edge with a gurney feature at the trailing edge to energize flow. The Spain version returns to the rounded solution is almost the same as the example above. Following on from this, McLaren then enlarged the second opening and also split it at the top. The openings allow flow from outside of the wing to enter inboard, stabilising pressure and energizing flow over the wing itself. Fine tuning these openings can create a more efficient front wing in both producing downforce and airflow management. This image drawn by Giorgio Piola shows the final installment of McLaren’s endplate development. It is made up the same profile that they used in Spain yet has additional detail at the trailing edge – a small gurney at the base of the edge turns the flow more easily. Finally, an additional slot is evident to attempt to balance pressure difference. If you have got this far, thankyou for reading! This took a long time to write so if you have any feedback at all, it would literally make my day if you left a comment below. I am open to any constructive criticism as it will only make this blog more enjoyable for others in the future. This entry was posted in Analysis, The Evolution of the Modern Front Wing on April 2, 2013 by thewptformula. In 2009, a raft of new regulations were brought into Formula to try to spice up the racing. Grooved tyres, complex sidepod bodywork and chimneys, sleek low-lying rear wings, narrow and curvy front wings were all out. KERS, a whole new aerodynamic platform, slick tyres and tougher restrictions on the number of engines and gearboxes allowed for each team over the course of the season were brought in. In this post I shall be looking at the evolution of the modern front wing since the regulations changed, looking out how teams have changed their philosophy of front aerodynamics to try to maximise the best out of the “snow plough” and why they were designed this way. F1 needed a change to try to swing the balance back to some of the midfield teams as Ferrari, Renault and McLaren were starting to gain a undefeatable dominance. It was only on rare occasions that BMW broke into the top ranks, scoring podiums and only securing one win in Canada 2008. 2009 saw the biggest regulation change in years so when the first cars rolled out for testing the F1 world was very intent in seeing what the big teams, and little teams, had brewed up over the last few years. Since then, however, the cars have been looking fairly good-looking in my opinion thanks to continuous development, particularly around the front wing area. The front wing width went up to 1800mm (the equivalent width of the entire car), and were also lowered to just 75mm above the ground. This meant that engineers had a lot of work to do to try to turn airflow around the front tyre as much as possible, as the tyres on an F1 account for around 30-40% of the car’s overall drag. Not only that but it also had to produce the downforce required to make the cars so blisteringly quick around the corners. Because of these two main demands, there were a lot of diverse designs and ideas that were rolled out at the first few tests. Here are a few examples. This is the Renault R29 front wing. What I found very interesting about this wing is that despite the wing being the width of the entire car, the designers still chose to pinch the endplates inboard at their trailing edge, diverting the air inside the tyre much like teams did pre-2009. Before, they could do this because the front wings were narrower so it was a logical area to divert the flow. Renault chose to apply the same principle despite it being easier to direct the flow around the front tyre instead. There are only two elements two this wing – the main plane and the flap. The chord of both the main plane and flap only take up half of the endplate length, with a minimal angle of attack and hardly any progression of gradient across the surface. The flap angle is adjusted via a small hole at the top of endplate and there is a small, simple guide vane along the flap to attempt to divert the flow efficiently around the suspension layout. Renault were the first team to maximise the bodywork beneath the nosecone by creating flat turning vanes to encourage air to flow directly underneath the chassis and under the front of the floor. They also incorporated a downfacing surface underneath the nose to also provoke the same effect. Interestingly, this concept is being revisited by a number of teams this season in the form of a bulbous beneath the nose for the very same purpose. Williams’ FW31 had a more sophisticated wing design. The flap adjuster was still housed within the endplate but overall it was a complete step away from Renault’s version. Although it was still a two plane concept, cascades were mounted to the endplates to produce more downforce and turn air inside of the front tyre. The endplates themselves turned the flow around the outside of the tyre as you can see by their curvature as the reach towards the leading edge of the tyre. A gurney flap was placed upon the flap’s trailing edge to keep the boundary layer of air attached to the surface of the wing, increasing its efficiency and therefore aiding downforce. Out of all the cars that launched at the start of 2009, the Red Bull RB5 was quite a step away from everyone elses design. 1 shows the two ears on top of the chassis that stop airflow spilling over the side of it and disrupting the flow along the side of the car; 2 highlights the very narrow and closely spaced wing pillars that attach near the back of the main plane of the wing; 3 points to how the main plane seamlessly forms into the body of the endplate; 4 displays the complex (at the time) cascade winglets along with the crinkled main plane area; and 5 shows the outward facing endplate, guiding the airflow around the outside of the front tyre. The nosecone was very narrow, another completely different idea to those seen across the entire grid (except Toro Rosso, who were still running an almost identical aero-package to RBR that season; they became independent in 2010). The wing consisted of three elements, all in one uniform profile, that took advantage of the entire length of the endplate. Evidently there was the main plane, but defined flaps were never truly evident, as only a small section of the wing could be angle adjusted. Instead the whole wing profile was one gradual progression of gradient, producing a consistent flow which enabled it to be directed around the car more efficiently than the previous examples. By the end of the season, the front wing had moved on dramatically from the versions that were on the cars in Melbourne. McLaren had been playing catch-up all season long after starting with a “dog” of a car and their front wing design that was used at the last round in Abu Dhabi showed just how far they had come. The image above shows the launch version of the MP4-24 front wing which, surprisingly, was barely changed over winter testing. It consisted of a main plane and two flaps, a low-lying bulbous nose and very flat endplates. The endplates neither turned flow inside or outside the front tyre, leaving them with a large area of airflow over the actual wing profile heading straight for the surface of the tyre. These are a few iterations of endplate design that McLaren used over the first 5 or 6 rounds. Turning vanes were placed at various places along the footplate to try to turn the airflow around the front tyre, yet they did not change the actual endplate shape until mid-season! This image shows the progress of McLaren’s development during the mid-season. As you may have noticed, the team introduced a long cascade winglet with a slot running across its entire length to produce downforce. At the tip of these cascades inboard of the wing, vortices are created, guiding spirals of airflow in and around the lower wishbones and underneath the floor in an aim to improve the car’s global downforce. At the Nurburgring there was the introduction of the outward facing endplate, complete with a lip at its trailing edge to further push the flow round the tyre. The endplate also featured a slot to accelerate the flow beneath the wing, lowering the pressure beneath the surface of the flaps as a result. McLaren had also added an additional slot to the main plane of the wing to create a total of four elements in an attempt to produce more consistent airflow along and underneath the body of the wing. 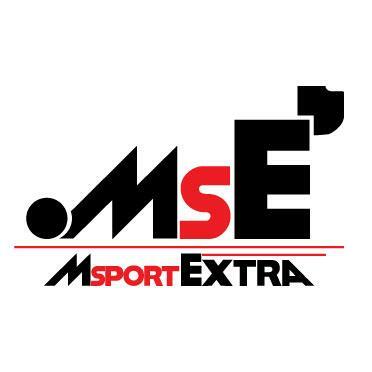 By the end of the season, the endplate looked like this. It featured two slots and a guide along the top to stop flow along the endplate surface spilling into the wing profile itself. McLaren also positioned the flap adjust housing for an aerodynamic benefit inboard of the wing and also added additional fences beneath the wing to guide the flow to other areas of the car more efficiently. Red Bull also invested a lot of development into this area and their design changed a substantial amount across the season. This image shows how they split the cascade winglet into two sections: the outboard, narrower yet deeper profile provides a small amount of downforce and has an additional vane above it attached to the endplate to help turn the flow. The inboard section is still designed to guide flow in and around the suspension area and aid components downstream of the wing. Again, there are substantial changes evident in this image. The above design is pre-Silverstone. At Silverstone, Red Bull brought an upgrade package that boosted their performance that brought them up to that of the Brawn GP BGP001. It included this new front wing design (lower image). The nose is much wider and the camera pods have been moved to the leading edge of the nosetip, acting as a guide for the flow to go between the upper and lower wishbones. The red number ‘2’ also shows how they extended the footplate width by undercutting the join between the mainplane and the endplate. This development is a relentless part of Formula One, and I have only shown you a few examples of this! In the next part I will be writing about the developments of the front wing across the 2010 season, which shows an even bigger step towards that of the current generation. As always, feedback would be much appreciated! This entry was posted in Analysis, The Evolution of the Modern Front Wing on February 27, 2013 by thewptformula.